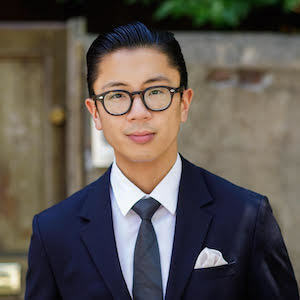 With unfailing integrity and a devotion to elite client care, Christian Nacpil sets himself apart in the crowded New York City real estate marketplace. Always honest, trustworthy and consistent customer-centric, it's no surprise that Christian honed his skills in demanding service roles, including as a concierge at a renowned New York City hotel, as the manager of an upscale restaurant and in private client service for a major high-end retailer. Today, he brings his hard-earned talents and focused work ethic to real estate, serving buyers, sellers and renters across the city. "For me, providing clients with the high-level of service that I would expect and knowing that they love the home we found together is the greatest reward," he says. As a New York native and lifelong city resident, Christian also brings wealth of knowledge and meticulous attention to each engagement. Recognizing the little details in every transaction and acknowledging the impact they can have is at the core of his attentive approach. Born in Westchester and raised in Queens, where he lives today, Christian is as passionate about the city as ever and spends his free time exploring its many sights, sounds and wonders.